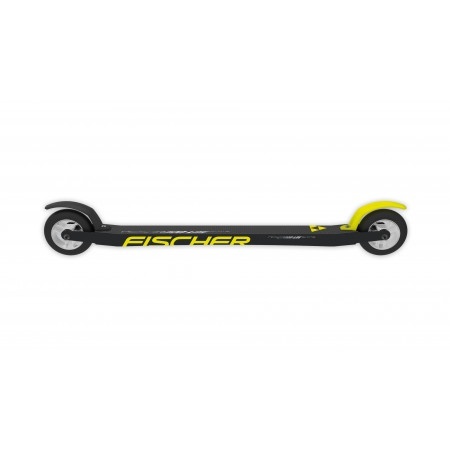 Using years of ski building experience, Fischer has designed and produced rollerskis to match your off-season training needs. The Carbonlite skate stands out through its newly developed Air Core Composite frame. Thanks to the materials used, this unique frame construction optimally absorbs the vibrations which occur and gives you smooth performance. The Razor Shape Base guarantees sufficient ground clearance even with an extreme kick angle.